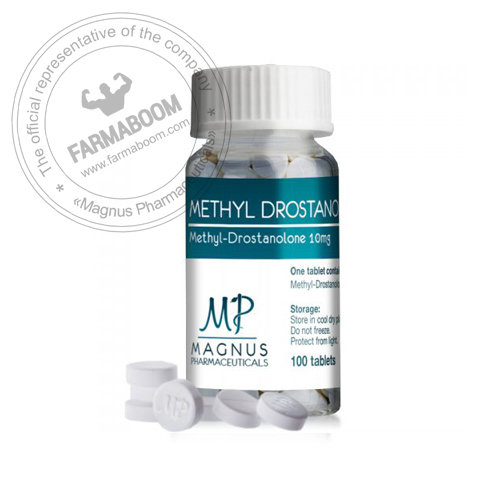 Methyldrostanolone is a C-17 alpha alkylated steroid, originally developed by the American pharmaceutical company Syntex. This steroid is already active and does not require conversion. 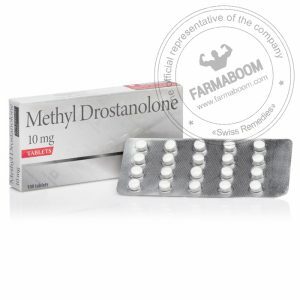 Methyldrostanolone is the 17aa version of the injectable steroid drostanolone (Masteron). This extra methylation makes this steroid about 3-4x more anabolic than Masteron, and slightly more anabolic than oxandrolone. Due to the dimethylation, the toxicity of methyldrostanolone is greater than most other oral steroids. There have been many reported cases of heptatoxicity with this compound. Because the effects on the liver it is very important to use a liver protecting supplement during any methyldrostanolone cycle. If not using a supplement to protect your liver, methyldrostanolone should never be used any longer than 2 weeks, with a maximum cycle length of 4 weeks with liver protection. Other reversible side effects from methyldrostanolone may include increased blood pressure, reduced HDL cholesterol and lower back pumps.